For large swathes of the population the very idea of prisoner's rights is a joke. As far as they're concerned, once you vanish behind the walls of some brick n' slate Victorian monstrosity you're a non-person, deserving of every injustice, indignity and cruelty you face. It's the kind of thinking that saw former justice secretary Chris Grayling ban prisoners from receiving books and guitars, that led David Cameron to say that the idea of giving prisoners the vote made him "physically sick". Shadows, a new play by Carguil Lloyd George Webley, follows three inmates incarcerated in the notorious Winson Green Prison aka HMP Birmingham, recently described by its director as "dangerous, dirty and overrun with drugs". Things came to a head a year ago in a 15 hour riot kicked off by prisoners being unable to receive dental treatment. Winson Green functions as an effective setting for a wide-ranging dissection of race, via three inmates each of whom has a unique perspective on what it means to be black in modern Britain. They are; Edmund (David Monteith), an old lag serving a long sentence who knows the ropes of the institute; Chase (David Ogechukwu Isiguzo), a still optimistic teenager eager to get back to his son and start a business and; Balak (Pharaon El-Nur) a middle class former teacher with a fierce sense of personal justice. On the other side of the bars we have Vince (Troy Richards), their guard. Over a series of lengthy conversations, we gradually understand the divisions between the men. Despite being born and raised in Birmingham, Edmund feels a profound connection to both his Caribbean and African roots, eager to find the historic and cultural context for his life. Conversely, Balak was born in the US and subsequently adopted by a white British couple - his middle class upbringing leaving him somewhat divorced from what Edmund understands being black in Britain to be. In place of an ancestral connection, he has a political one, his circumstances borne of deep-seated cultural racism rooted in the slave trade. Chase, much younger than the other men, is caught in the middle and the two men essentially battle for his soul and future. Shadows is smart as hell - Webley tackles a very big, very complicated issue with wit, pathos and a genuine emotional connection to his characters, who never feel like vehicles for viewpoints. Sadly, despite the play's many positive aspects, it's let down by a rather lacklustre production. While David Monteith delivers some fantastic moments (my highlight his emotive realisation that the Birmingham of his memory does not match the Birmingham beyond the prison walls), Pharaon El-Nur's delivery is overly declamatory and artificial, he's never particularly convincing and it's difficult to get a handle on who Balak is. In addition, the expansive set makes their cell feel bizarrely roomy - the characters have to walk across the room to talk to one another. 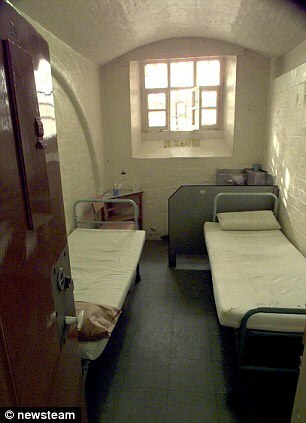 Part of the tension of the play is that these characters are trapped in close quarters and the failure of the set to give us any sense of claustrophobia hurts that - not to mention that it singularly fails to capture the reality of the notoriously small cells at Winson Green / HMP Birmingham. Finally, the finale doesn't really work. Without wanting to spoil anything, the show concludes with an act of violence that's obviously intended to be taken seriously, but instead receives muffled giggles. I can't pin down exactly why that happened, but perhaps the writing ladles on the pathos a little too thickly in the closing scenes. Shadows is difficult to review. There's so many good ideas and thought packed into the script. Unfortunately this production doesn't quite do justice to them - this show needed more time in the oven. Shadows was at Theatro Technis 5-7 December.